I love homemade cranberry sauce around the holidays. This one is perfect for Thanksgiving, and should pair with any other dishes you’ll be making. The next day, put it on a roll with the rest of your leftovers! I like to get a little creative with the traditional flavors just to make it a bit more complex. You can enjoy this warm or make it a day or two in advance, because it’s great cold too. 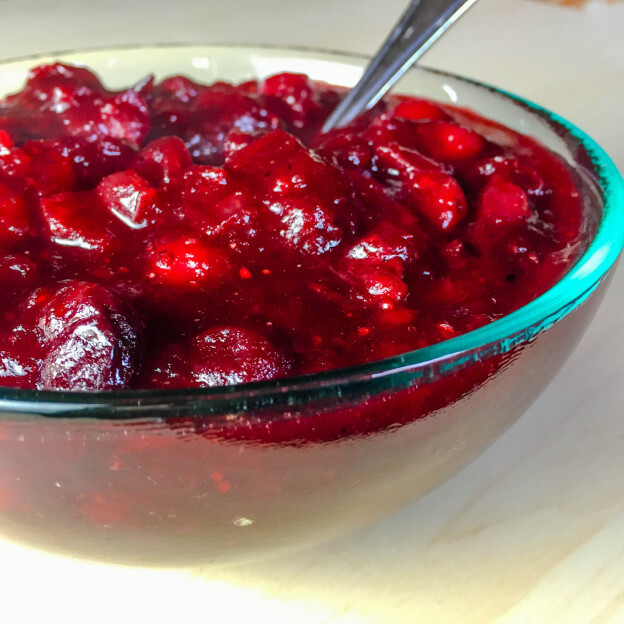 *Side note: I also use this cranberry sauce to make my Cranberry Coconut Cream Pie, so make a double batch ahead of time and you will have both a side dish with dinner and you can make a fantastic creamy and healthy dessert! This entry was posted in All, Gluten Free, Holidays, Make-Ahead, Side Dishes on November 7, 2015 by melissa. One of my very favorite things vegan treats to make is vegan cheesecake! There are so many different possible flavor combinations. This one came out really food. Especially for fall or a holiday dinner. It is super dense, reminiscent of that really rich New York Style cheesecake. The batter is made mostly of sweet potato, cashew, and coconut oil, while the crust is just dates and walnuts. 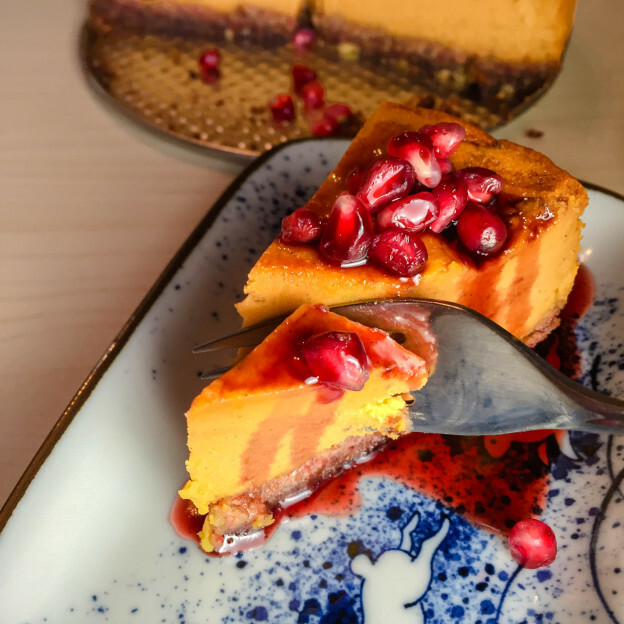 The sweet-tart pomegranate sauce is the perfect complement to this earthy sweet potato cheesecake. 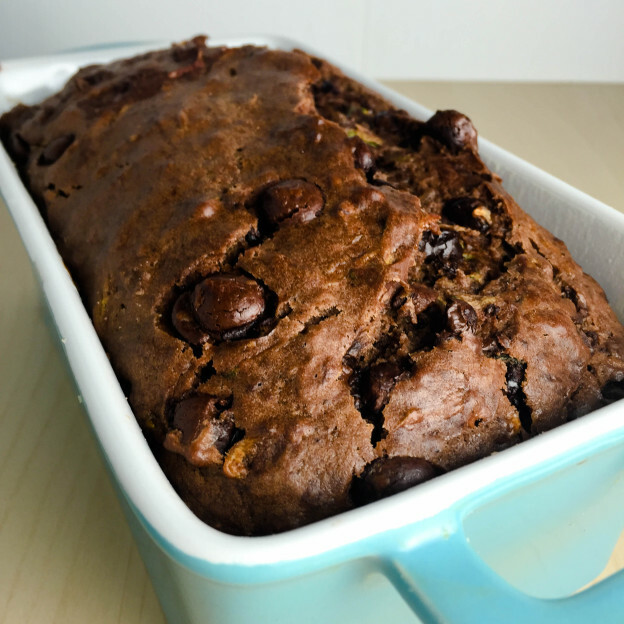 This entry was posted in All, Baking, Dessert, Gluten Free, Holidays, Make-Ahead on October 28, 2015 by melissa. This entry was posted in All, Baking, Breads, Breakfast, Dessert, Make-Ahead, Snacks on October 10, 2015 by melissa. 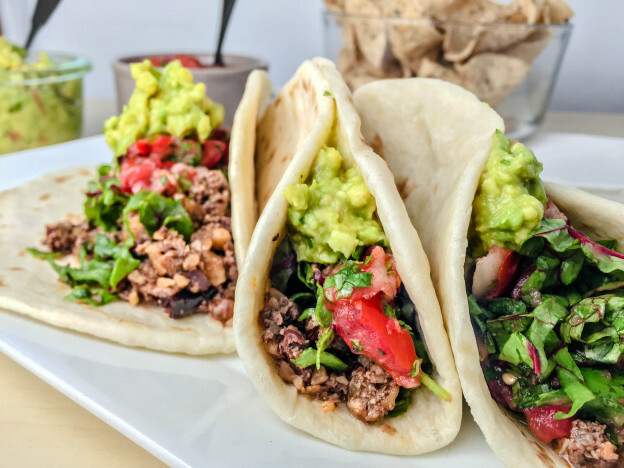 I call this plant based taco meat, but it’s not only for tacos! You can put it in burritos, on salads, on nachos, or wherever else you’d like! This is really easy to make and only takes a few minutes, but is super tasty and has a great texture! I hope you like it! 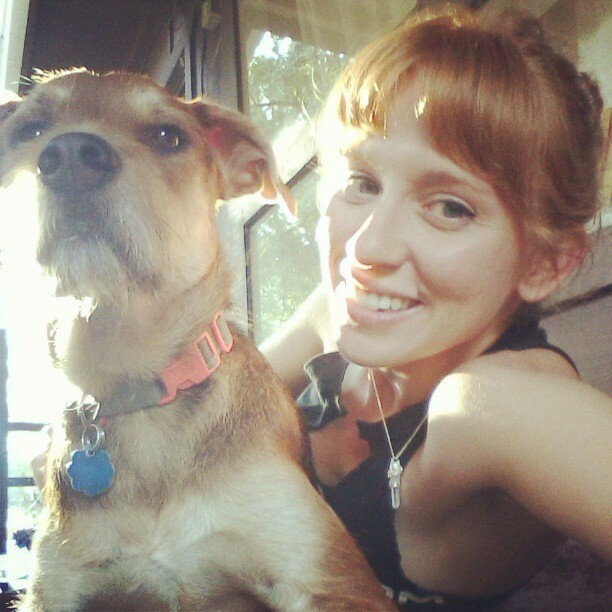 This entry was posted in All, Dinner, Gluten Free, Make-Ahead on October 6, 2015 by melissa. Tacos and burritos have always been favorites of mine. Having this seasoning mix on hand makes it easy to throw together a snack using whatever veggies you have on hand, just sautee them and wrap them up in a tortilla or add them to a taco salad. Add some beans and rice and you’ve got yourself a full meal. You can use it on mushrooms, vegan meats, veggies, potatoes, tempeh or greens! 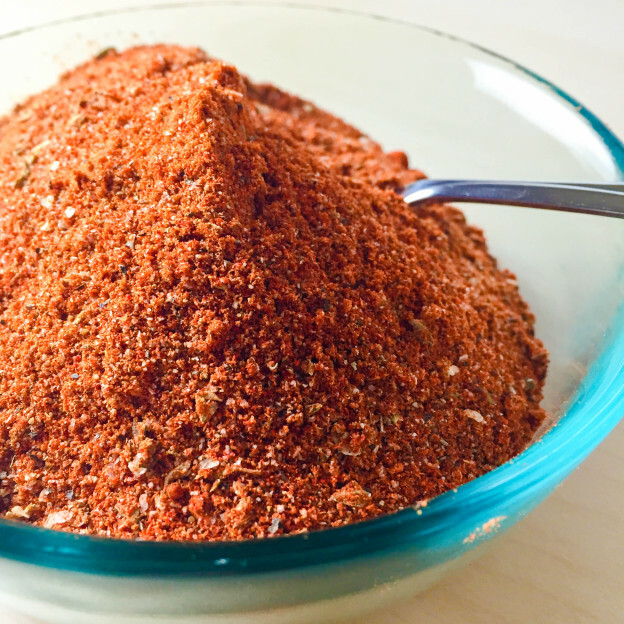 If you purchase the spices from the jars in the bulk section of your local grocery store, you can make this for only a couple of dollars and it will last for quite a few meals. This entry was posted in All, Gluten Free, Make-Ahead, Seasonings on October 6, 2015 by melissa. I spent the past weekend in San Francisco celebrating my boyfriend, Tyler’s 30th birthday. We ate tons of awesome food, for example, the vegan pizza at Pizza Orgasmica, and breakfast at Greens Restaurant, but my favorite meal (other than the double vegan cheeseburger and chili cheese fries at Amy’s Drive Thru on the way home) was the Wasabi Burger at The Plant Cafe, it was seriously delicious! I could make a whole post about just the food in SF but just follow me on Instagram if you want to see some pictures. We also got to taste some really fabulous cocktails at a little bar called The Interval, I don’t usually like going to bars but I LOVED this place! They had a little history of each drink written on the menu, every one of them obviously thought out and perfectly crafted, and art from Brain Eno. When we drove home I had to go straight to work at the restaurant, but when I got there I was greeted with a gift from some of my favorite customers! A jar of fresh, homegrown heirloom cherry tomatoes and sweet peppers from their garden! What a treat! So for Tyler’s actual birthday meal I roasted some of the cherry tomatoes in the oven for about 15 minutes at 400 degrees while I boiled the noodles and made this sauce in the blender. I tossed it all together and we had a quick, easy and delicious birthday dinner! The sauce is super creamy with a nice bright flavor from all that lemon juice so it doesn’t feel too heavy. You can make it ahead of time and just heat it up with a little bit of water added if it’s too thick. Here’s the recipe. 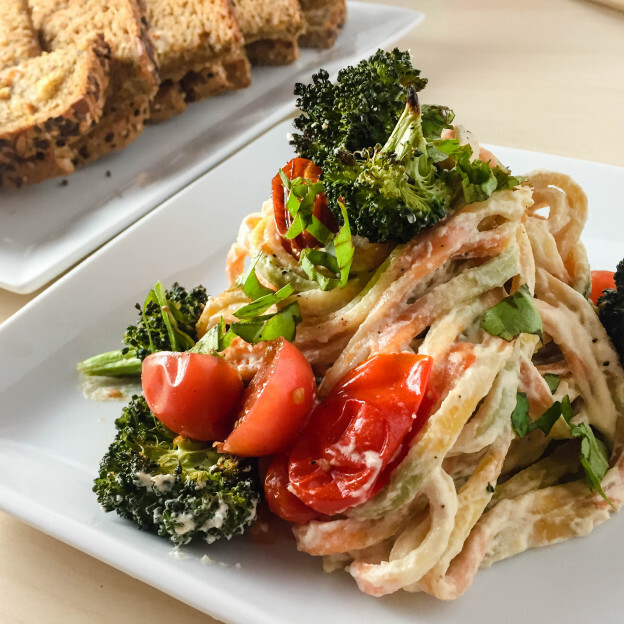 This entry was posted in All, Dinner, Gluten Free, Make-Ahead, Side Dishes on September 30, 2015 by melissa. I’ve been making lots of galettes this summer. I love them because they’re easy to make, easily customized (both the dough and the filling) and they always come out great! Plus they are super rustic, which means if it ends up kinda messy that’s okay! Great! 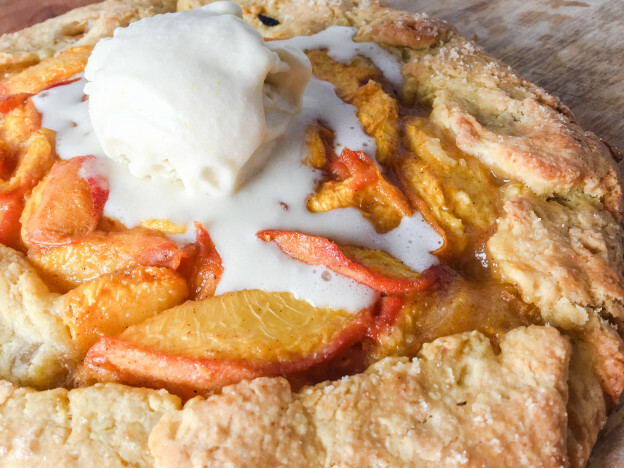 This galette features two of my favorite summertime flavors, peaches and sweet corn, which pair surprisingly well. In the pictures I topped it with a homemade sweet corn ice cream too! Oh, it was so good! Strawberries would also make a lovely pairing with this sweet corn crust, or maybe just strawberry ice cream on top. In the crust, I used freeze-dried corn, which can be found at all the Whole Foods Markets I’ve been to, but it can also be ordered online. Here’s a link to order it online. Perhaps you can look forward to seeing some savory ones on the blog too, I’m thinking cashew cream with potatoes and rosemary or maybe some broccoli. This entry was posted in All, Baking, Dessert, Make-Ahead on August 18, 2015 by melissa. 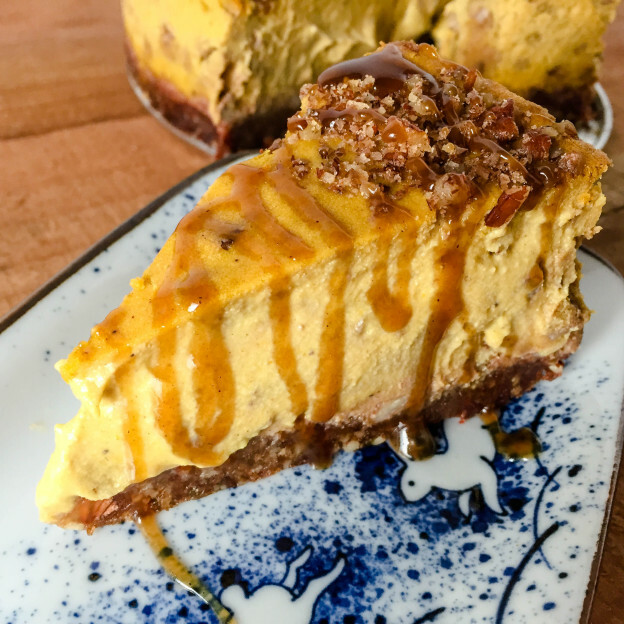 I know, it’s not the traditional time of year for pumpkin, but this Creamy Pumpkin Praline Pie with a Pecan Crust is light enough to serve in the summer, yet still decadent enough for a Thanksgiving dessert. So basically it’s delicious anytime. This entry was posted in All, Dessert, Gluten Free, Holidays, Make-Ahead on August 6, 2015 by melissa. Growing up in Georgia, and spending so much time in Florida, I never realized how regional of a dish Key Lime Pie actually is. Since moving to California, I have not seen it on a menu even once, and both key limes and key lime juice can be hard to find out here. I went to at least 5 different grocery stores before finding one bag of almost juiceless key limes. I then proceeded to juice each tiny one by hand, but it was worth it all in the end! This key lime pie is so luscious and creamy that nobody would ever guess it’s made mostly out of nuts and avocado! No eggs, cream, or gelatin in this recipe! I also chose to leave out cane sugar, and simply sweetened the pie with agave and dates. 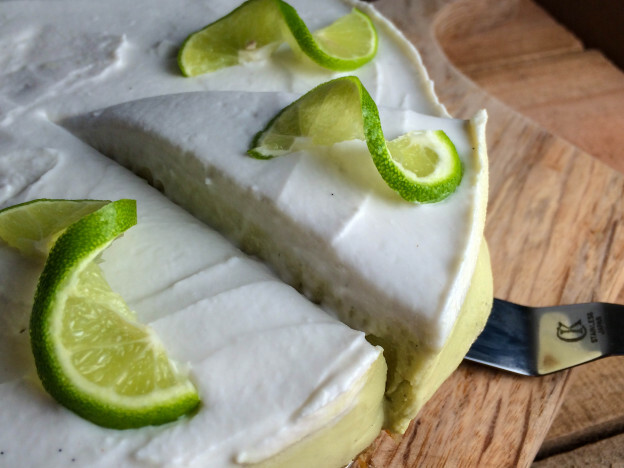 Despite how (relatively) healthy this key lime pie is, it tastes just as decadent and delightfully zesty as its traditional southern counterpart, with macadamia and coconut in the crust just to add to the tropical flavor. This entry was posted in All, Dessert, Gluten Free, Make-Ahead and tagged dessert, key lime, key lime cheesecake, key lime pie, vegan cheesecake, vegan dessert, vegan key lime cheesecake, vegan key lime pie, vegan pie, vegan recipes on April 8, 2015 by admin.